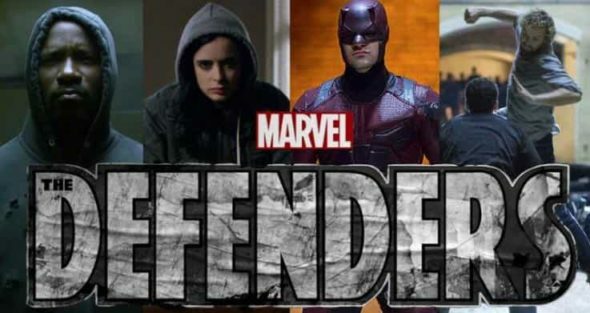 Netflix recently released Marvel’s next portion of their series, called The Defenders. This show comes after a number of other Marvel shows that were featured on Netflix. The other shows followed one specific hero. However, the Defenders is different. In this show, they all merge the lives of all the other heroes into one good show. Now, before you go on thinking that this is just another superhero show that has the same action scenes, I recommend that you give it a shot. This show has some great themes that Netflix will truly be able to develop into great episodes. So, what exactly is this show about? For a quick summary and to make sure that you are able to to grasp the full plot of the show, here is a quick explanation: Four of Marvel’s biggest heroes are each working individually but have one common goal in mind — to save New York City. Burdened with their own personal challenges, Matt Murdock (Daredevil), Jessica Jones, Luke Cage and Danny Rand (Iron Fist) realize that they likely won’t be able to accomplish their goals working solo. That realization leads them to team up and form The Defenders, a supergroup that is more equipped to save the Big Apple than the heroes would be if they continued to work on their own. Before we go any further, it might be helpful to breakdown all the characters who are featured in the show. When a tragedy puts an the end to her short-lived career as a superhero, Jessica settles in New York City and opens her own detective agency, called Alias Investigations, which seems to be called into cases involving people who have special abilities. Suffering from post-traumatic stress syndrome, Jessica wants to do good, but her primary interest isn’t in saving the world, it’s saving her apartment and getting through each day. A man with super strength and unbreakable skin caused by a sabotaged experiment. After a failed relationship with fellow superhero Jessica Jones, Cage tries to rebuild a quiet life in Harlem, New York –until he is pulled out of the shadows and forced into a battle for his city. Along the way, Cage cannot avoid confronting his past, which he has worked hard to bury. “Daredevil” follows Matt Murdock, attorney by day and vigilante by night. Blinded in an accident as a child, Murdock uses his heightened senses as Daredevil to fight crime on the streets of New York after the sun goes down. While Murdock’s day job requires him to believe in the criminal justice system, his alter ego does not follow suit, leading him to take the law into his own hands to protect his Hell’s Kitchen neighborhood and the surrounding communities. Netflix has rocked the ratings with all of their Marvel shows so far and this show will not be any different. They have leveraged some of the best talent to produce and act in this show and it will be worth getting attached to. The amount of growth that this show offers Netflix also allows you to get hooked on a show early on and watch it as it grows and the characters develop all the more. As you might have seen, there have been individual shows on Netflix, highlighting certain characters in their own individual life. However, they have not painted the full broad picture that this show will have. This show will connect some missing dots that viewers have been missing. It will also allow new viewers to get hooked on the general show before diving into the individual stories. Most superhero movies never can have multiple superheros because the dynamic usually gets off and it is not enjoyable any more. The directors usually try and balance all the strong personalities too much and end up forcing humor and it falls flat. With that being said, the dynamics in this show strikes a great balance that allows viewers the relief of enjoying watching multiple superheros in one show. In need of a new show to watch? This is the show for you. Overall, this show is clean for families, provides some comic relief, but also has the action packed scenes that will initially draw us to the show.